In the second article in this article series about social media , I want to talk about how you can build a strong coffee shop brand on your social media pages as well. 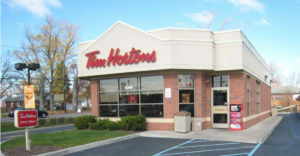 Or to be more precise to make your brand also visible online in the social networks you’re using for your coffee shop. Simel.Coffee stands for the merging of specialty coffee and Marketing. The person behind Simel.Coffee is Melanie Boehme, Coffee Marketing Consultant and branding expert for specialty coffee shop businesses. Melanie Boehme supports busy coffee shop owners and managers with her inspiring Marketing strategies (offline & online) on their way to a successful & thriving coffee business that customers just love going to. Simel.Coffee stands for the merging of specialty coffee and Marketing. 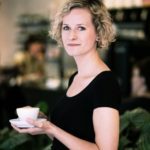 The person behind Simel.Coffee is Melanie Boehme, Coffee Marketing Consultant and branding expert for specialty coffee shop businesses. Melanie Boehme supports busy coffee shop owners and managers with her inspiring Marketing strategies (offline & online) on their way to a successful & thriving coffee business that customers just love going to.